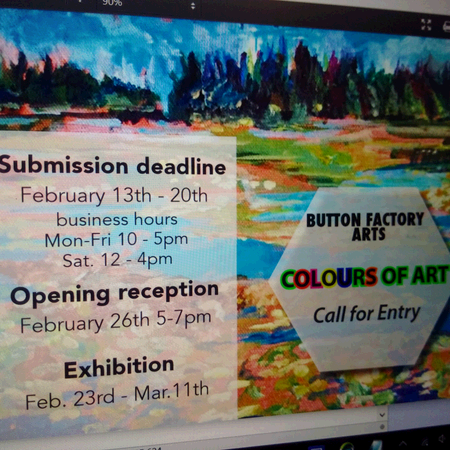 The show at the Button Factory ends this Friday. 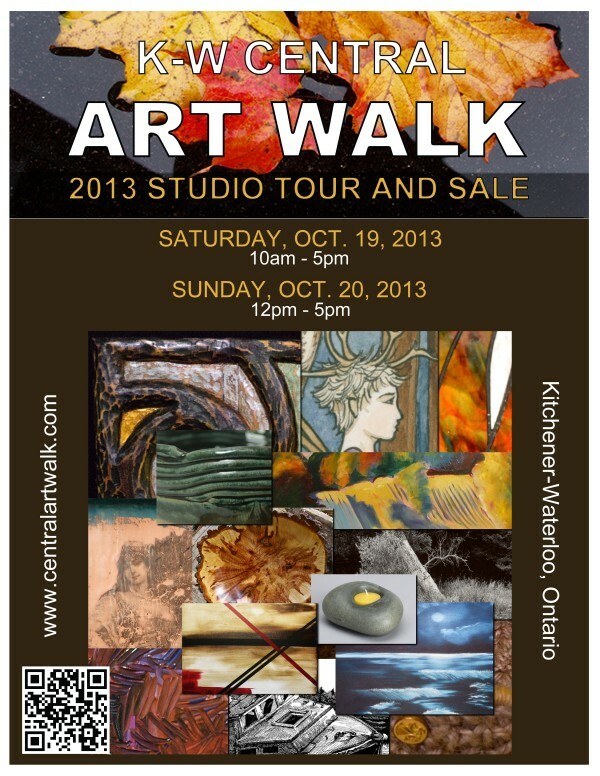 come see all the talent that operates in Kitchener-Waterloo. Nice to see people are still talking about abstract art. One of the problems with making and showing non-objective art is that it challenges people in ways they’re not used to being challenged. As a result, people may dismiss it outright. “My kid could paint that.” “Can you believe how much that art costs?” I hear things like this all the time. Occasionally, someone gets it, and I can tell they get it by the way they gaze into the painting, as if they’re lost in another world. These people understand what I was trying to do. 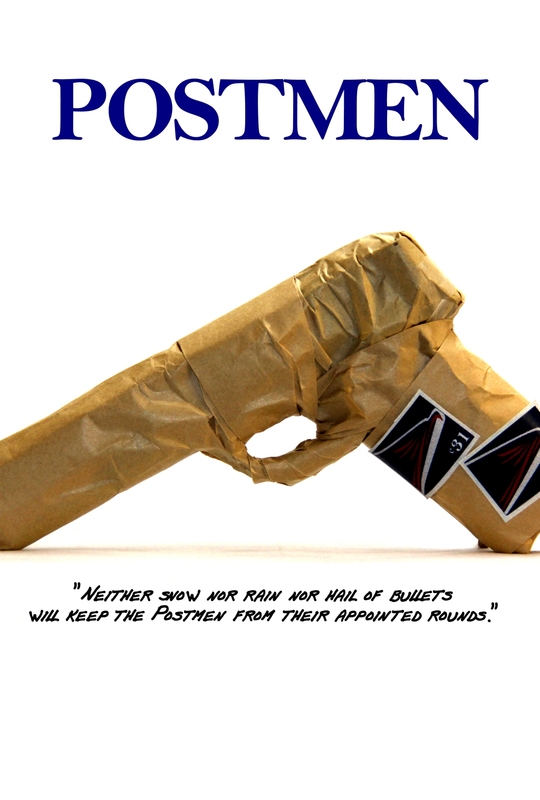 As a final idea for a poster for the film-to-be, “Postmen,” I tried wrapping an old BB gun up in craft paper, and putting some prop stamps on it. Normally, I’m pretty lazy, and I work with digital collages, pulling bits and pieces from the Internet, but there was nothing really that fit the bill. Also, googling “gun package” is likely to get me on some kind of watch list. 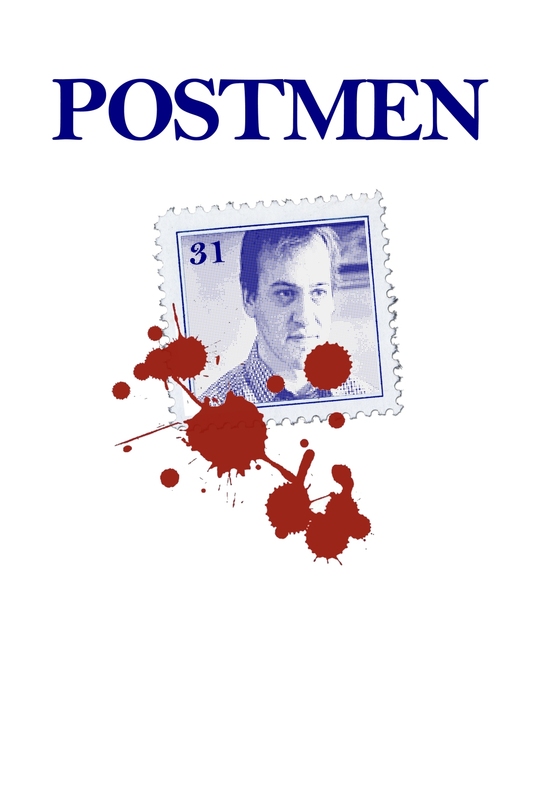 Here’s the poster. It won “crowd favourite” at CineCoup. So, not bad. 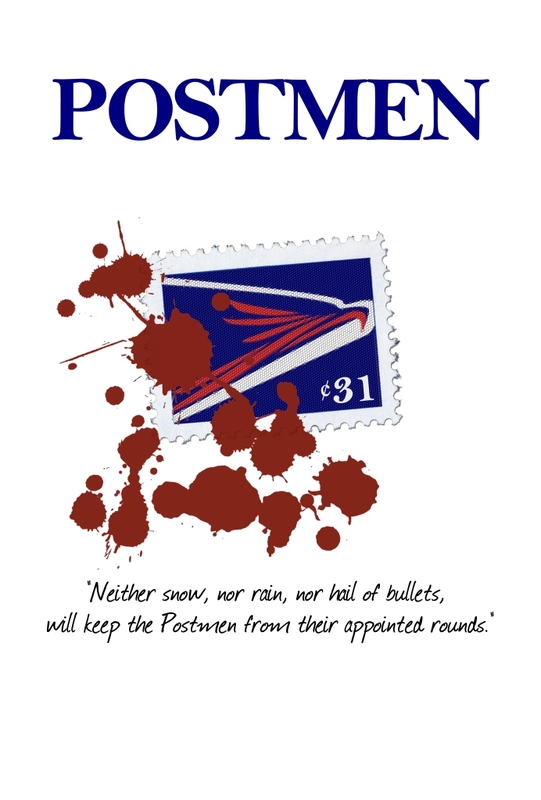 Been working on some images for some friends and their movie, “Postmen“. They’re working their way through the CineCoup challenge in order to win a $1 million prize and distribution in theatres. 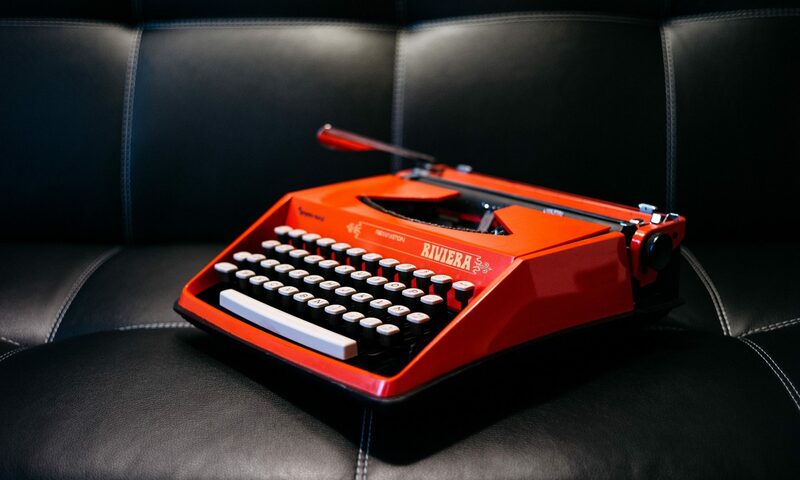 We make the movies fans want to see, by asking you which ideas you like the best. Our model brings talented filmmakers into the public eye and challenges them to build an audience before the cameras even start rolling! 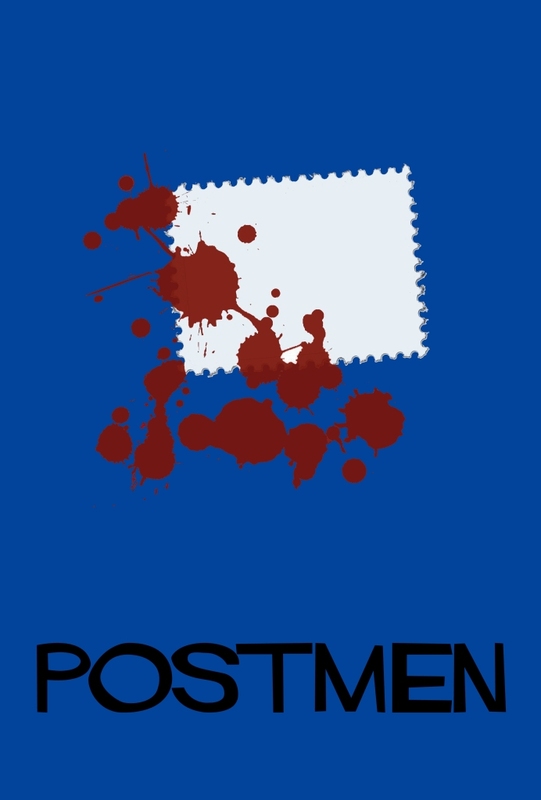 I kind of liked the last one, with the Saul Bass nod. But something was still lacking. 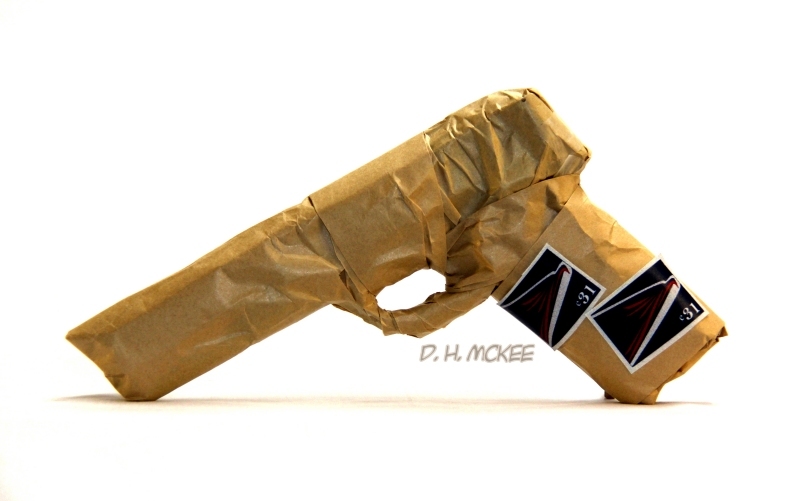 I decided to expand on another concept, which included a gun wrapped up like a parcel. You know the kind, with the outer wrapping so tight, that it obviously looks like a gun. Tonight is a great fundraising event at THEMUSEUM in Kitchener. 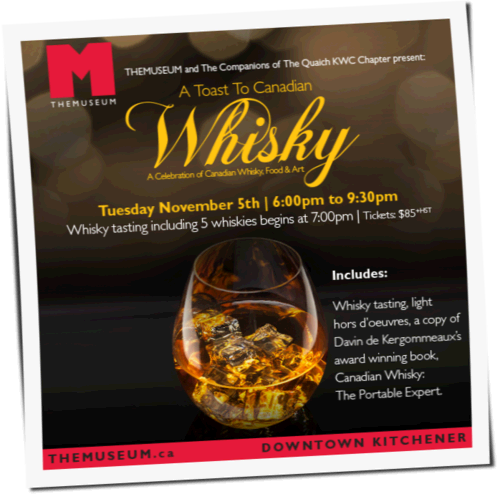 A Toast to Canadian Whisky features whisky-tasting, a book-signing, and an art show, curated by yours truly. Over 30 works will be shown from the Burnt Island Collective, a group of wilderness artists, who work together on local projects. 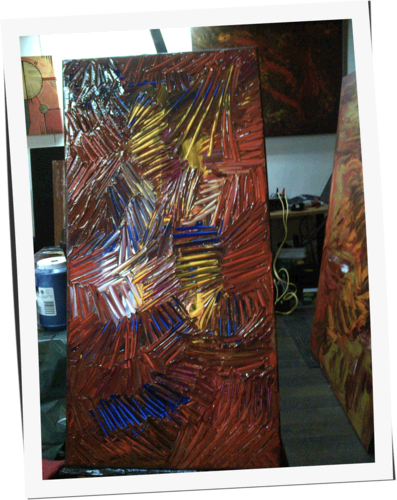 I’ve been so busy working on the Central Art Walk project, that I forgot to even mention it on this site. So here’s a poster. Come on out, and see all the great work available to the public from the artists’ own studios. 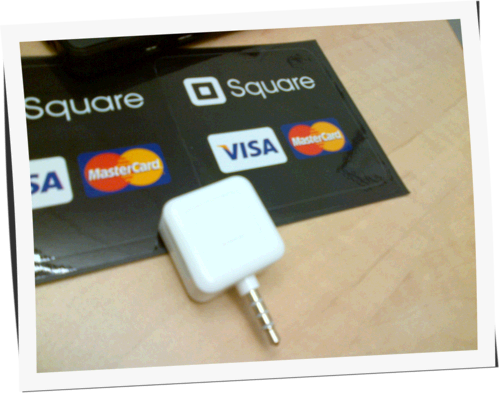 I’ve switched over to Square (http://squareup.com) for VISA and MasterCard processing. Impulse-buying has never been easier! 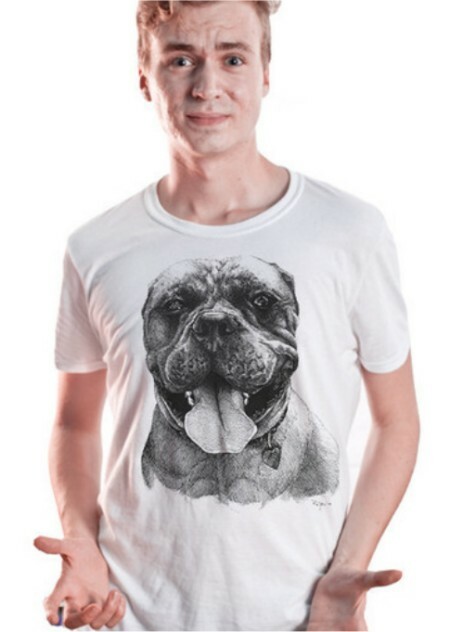 This T-shirt is available on Mister Dressup, and prints are available from ZuckerLoft Studio. It features just one of Ryan’s great pen and ink designs. 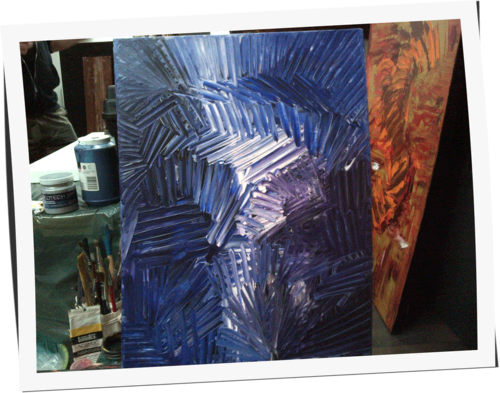 Did a new acrylic piece for studio night. Measures about 12″ X 24″. Inspired by a Groove Salad song. Go listen to somafm.com, and donate. They’ve got great radio and run almost entirely on donations. We do a weekly studio gig at my place. This was one of the cool paintings that came out of it.